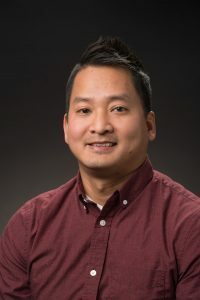 The 2017 Alvin Tollestrup award for Outstanding Postdoctoral Research is awarded to Nhan V. Tran of Fermilab for his novel approaches and creative leadership within the CMS experiment. His contributions include the development of new tools for pile-up mitigation and jet substructure reconstruction. The 2016 Alvin Tollestrup award for Outstanding Postdoctoral Research is awarded to Alex Drlica-Wagner of Fermilab for his technical and scientific leadership within the Dark Energy Survey experiment. His contributions include a new analysis that led to the discovery of new dwarf galaxy satellites of the Milky Way and stronger constraints on the properties of dark matter. The 2015 Alvin Tollestrup award for Outstanding Postdoctoral Research is awarded to Matthew Toups of the Massachusetts Institute of Technology for his contributions to the liquid-argon-based short-baseline neutrino program at Fermilab, including MicroBooNe and LAr1-ND. The 2014 Alvin Tollestrup award for Outstanding Postdoctoral Research is awarded to Marcelle Soares-Santos of Fermilab for her contributions to the Dark Energy Survey, which span from instrument construction and commissioning to high-level physics analysis. The 2013 Alvin Tollestrup award for Outstanding Postdoctoral Research is awarded to Yanyan Gao of Fermilab for her contributions to the Higgs boson discovery with CMS, specifically in the ZZ and WW decay channels and extraction of spin and parity information for the new boson. The 2012 Alvin Tollestrup Award for Postdoctoral Research Excellence is given to Bodhitha Jayatilaka of Duke University for his leadership and significant contributions to the measurement of the W mass with the CDF experiment, bringing his Tevatron legacy measurement to an unprecedented level of precision. The 2011 Alvin Tollestrup Award for Postdoctoral Research Excellence is given to Thomas Schwarz of the University of California, Davis, for his outstanding work on the understanding of top quark pair production at the Tevatron, on the measurement of top quark properties, such as the forward-backward asymmetry, and on the search for new physics signatures through the top signature. The 2010 Alvin Tollestrup award for Outstanding Postdoctoral Research will be awarded to Justin Evans of University College London for his work on the measurement of the muon neutrino and anti-neutrino oscillation parameters with the MINOS experiment. Dr. Evans made significant contributions to the measurement of the muon neutrino mass-squared splitting at the atmospheric scale and to the first direct measurements of the muon anti-neutrino oscillations parameters. Dr. Evans is recognized as an expert and a leader in the experimental analysis and comparison of the neutrino and anti-neutrino oscillation parameters. Junjie Zhu of Stony Brook University received the 2009 award for the his contributions to the DZero experiment’s measurement of the W boson mass. Zhu understood the detector’s ability, wrote interface code so experimentalists and theorists could understand each other’s analyses, wrote prediction software and participated in writing the result paper. Ben Kilminster of Ohio State University received the 2008 award for his contributions to the Higgs search. He worked to improve the sensitivity of CDF and the Tevatron experiments for the Standard Model Higgs by reducing the rate at which the data collection system triggered on background events in the CDF detector. He played major roles in two key search modes for the Higgs, and helped create new techniques for extracting the Higgs signal from background events. Yann Coadou of Simon Fraser University received the 2007 award for his work on the single top analysis at DZero. Guillelmo Gomez Ceballos of the University of Cantabria developed new analytic methods to separate Bs meson decays from other B meson decays, thereby squeezing more information out of the same sets of data. Ivan Furic of the University of Chicago made an electronics board that allowed the triggering system to recognize and record the coveted hadronic Bs meson decays. Stephanie Menzemer of Universität Heidelberg, by determining the charge of kaons produced along with the strange quark-containing mesons, Menzemer could tell whether an oscillating Bs-Bs(bar) meson began as matter or antimatter. Reinhard Schwienhorst of Michigan State University received the 2005 award for his work in the development of novel multivariate techniques in the search for single top quark production. This technique effectively discriminates between the signal and backgrounds such as W+jets and top-antitop, and results in a factor of two improvement in sensitivity for this search. A single top signal should be attainable in Run 2 at the Tevatron. Juan Cruz Estrada of the University of Rochester and a member of the the D0 collaboration was the recipient of the award for 2003 in recognition of his development and application of a new multivariate method to determine the top quark mass with greatly improved precision.